The NSK Group is one of the world’s leading manufacturers of rolling element bearings, linear motion, mechatronics, and automotive component products for multiple industries and applications. Within the linear motion and mechatronics division, NSK is regarded as the world’s leading manufacturer of precision ground ball screws and offers a full array of components and integrated assemblies for any challenging application. A global company with sales of over $7.2 billion, NSK employs over 29,400 employees at 64 ISO-certified manufacturing facilities around the globe. Headquartered in Ann Arbor, Michigan, NSK has a dedicated team of sales, marketing, customer service, and engineering experts who support both large and small OEM’s specializing in the medical device and manufacturing industry. NSK’s ball screws are available in various diameter, length, lead, accuracy, preload and recirculation options to meet you application needs. Each ball screw is inspected to ensure optimal performance by providing high accuracy and rigidity. If your application requires a compact design, NSK’s BSS Series BallScrews are 30% smaller than conventional model types. Although smaller in size, it delivers high precision and accuracy which results in unparalleled smooth motion. Optional seals and NSK’s K1™ Lubrication Unit help to prevent entry of contaminants, while providing maintenance-free operation. 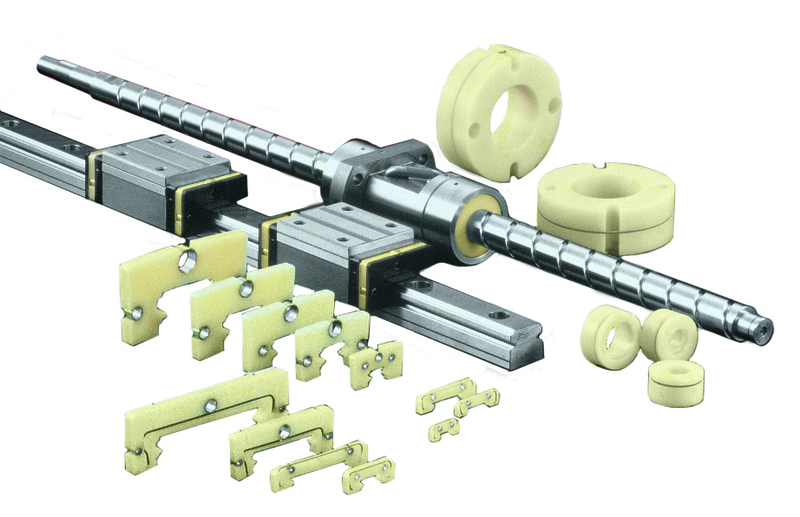 NSK offers a full line of linear and roller guides customized to meet your needs. Each rail and linear slide is interchangeable; purchase rail or linear slide separately or as an assembled component. Choose from a variety of size, accuracy and preload options. NSK’s K1™ Lubrication Unit is an optional feature extends product life and provides maintenance-free operation. 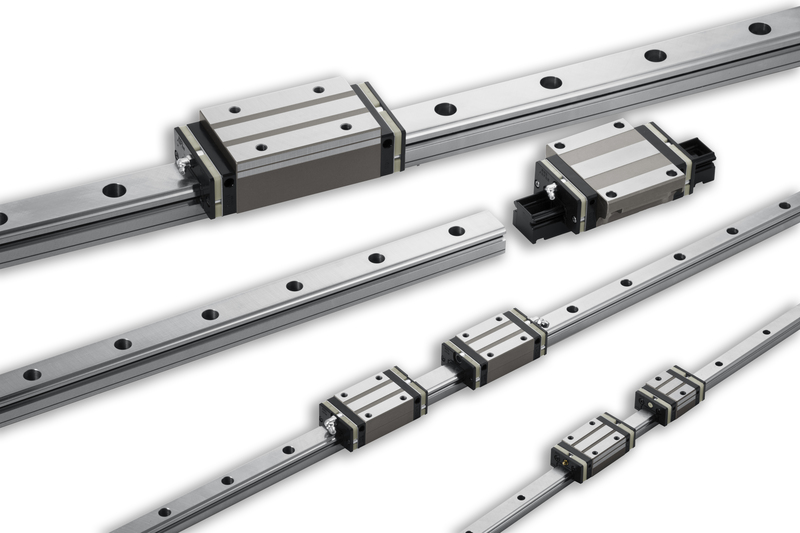 NSK recently released a new product series, NH-NS Series Linear Guides that achieves the world’s highest load rating, higher speed, lower noise, and improved smooth motion. This series will be replacing our standard LH-LS Series Linear Guides. 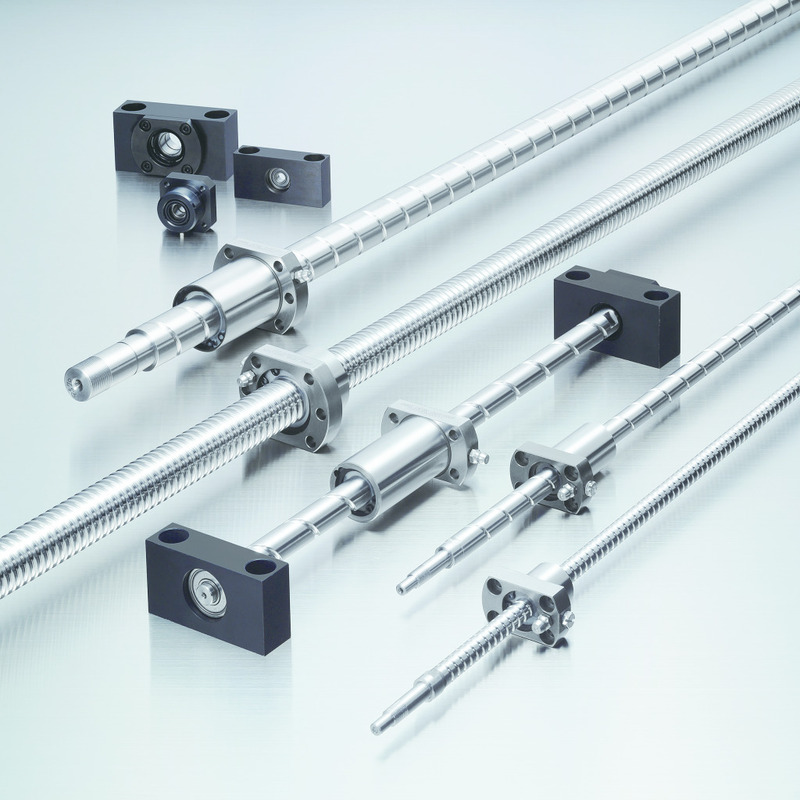 Improve manufacturing productivity and switch to NH-NS Series Linear Guides for two times longer operating life. Convenient drop-in replacement is possible due to identical mounting dimensions. In some instances, there is possibility to downsize linear guide and still achieve required fatigue life. Contact NSK Engineering for details and to verify actual loading conditions. 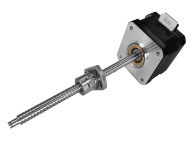 NSK integrates its ball screw, linear guide and support units into one structure to create Monocarrier™ Actuators. This lightweight, compact design is equipped with K1™ Lubrication Units to extend product life and provide maintenance-free operation. MCM and MCH Series handle light, medium and heavy loads depending on application specifications. Optional accessories are available for both series. Smooth motion, low vibration, high rigidity, and long operating life are all achieved with the use of NSK’s Monocarrier™ Actuator product line. 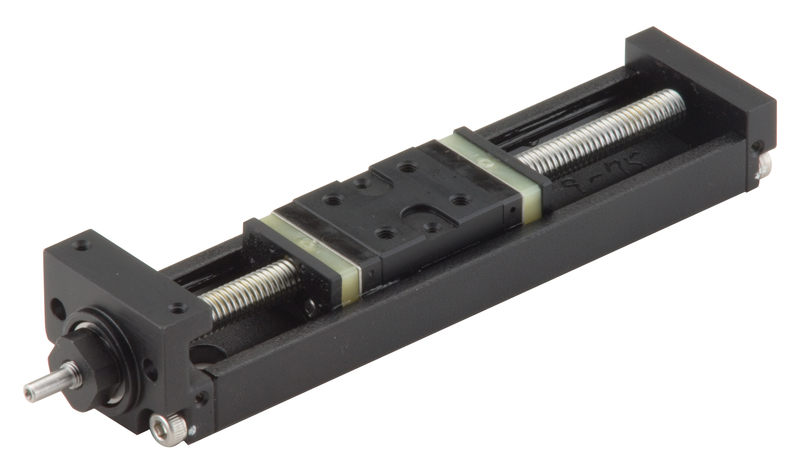 NSK has manufacturing capabilities to provide integrated linear axis systems that utilize linear guides, ball screws, and Monocarrier™ actuators. This ergonomic design incorporates sealed aluminum housing. Pre-assembled axis reduces time and labor cost, while the motor-less design allows for customer flexibility. The Mechatronics division of NSK manufactures direct drive motor technology. This compact design features high torque, high resolution, maximum rotational speed and high rigidity. For instances where NSK standard products are not an ideal solution, NSK offers special environment ball bearings, ball screws and linear guides. These products can be used in vacuum, clean room, corrosive, high temperature/contamination or non-magnetic environments. Each component is designed with advanced material, lubricant or surface treatment to meet high performance standards for medical industry. NSK’s new product lines, i-Slide™ and Fulride™ are low cost solutions. 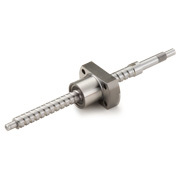 The i-Slide™ is a linear motion slide that uses high precision miniature ball bearings and is ideal for light load applications. Whereas the Fulride™ features roller type linear motion and handles higher load capacities. Each product line developed by NSK ensures unsurpassed quality, performance and reliability. We understand that time to market; specialized expertise, regulatory compliance and quality are all areas of top priority when manufacturing state-of-the-art medical equipment. Likewise our certified ISO 9001: 2008 and ISO 4001: 2004 manufacturing facilities conduct quality audits to ensure each NSK product delivers smooth, quiet, accurate, precise motion to reduce maintenance cost and extend operating life. And our linear motion components facility located in Franklin, IN allows for shorter lead times and faster turnaround.